Say Bon voyage for a beautiful tomorrow with this Let the Journey Begin Vintage Suitcase Luggage Tag. 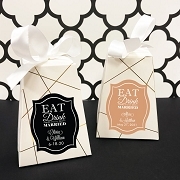 Your journey is just beginning, but you and your wedding guests will definitely need some stylish luggage tags to make sure your baggage gets to your destination safely and in style. 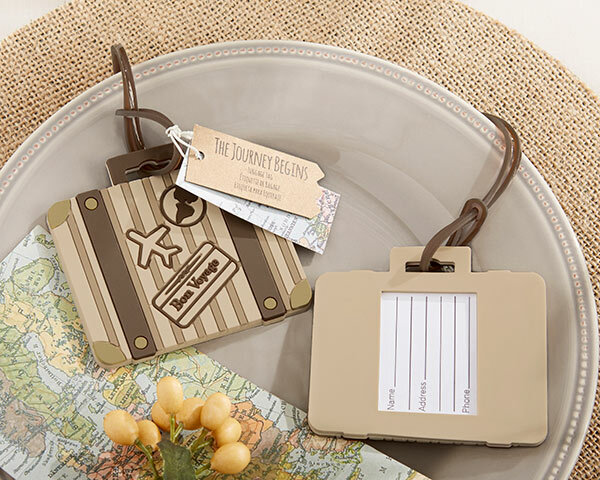 Featuring adorable travel inspired 3-D elements, these luggage tag favors are definitely first class. 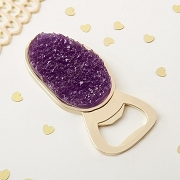 Everyone loved this idea as a bridal shower favor! We were all pleased with the product and would definitely recommend! Tag was the perfect favor for our travel themed shower. Loved the added Map/Journey label attached! Delivery was fast! Well pleased! You won't regret buying this. 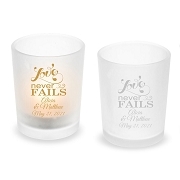 Excellent quality and shipped quickly. Used this for our son's wedding rehearsal party and received many compliments. Absolutely loved these tags. 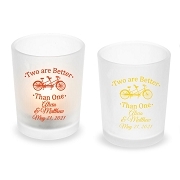 Used them as wedding favors. The Bride and Groom are moving to Seattle and I attached their new address to the tags with the intention of their friends and family planning a trip to visit them!